When the days become longer and start to warm up, it’s time to consider revamping your backyard living areas for the summer. 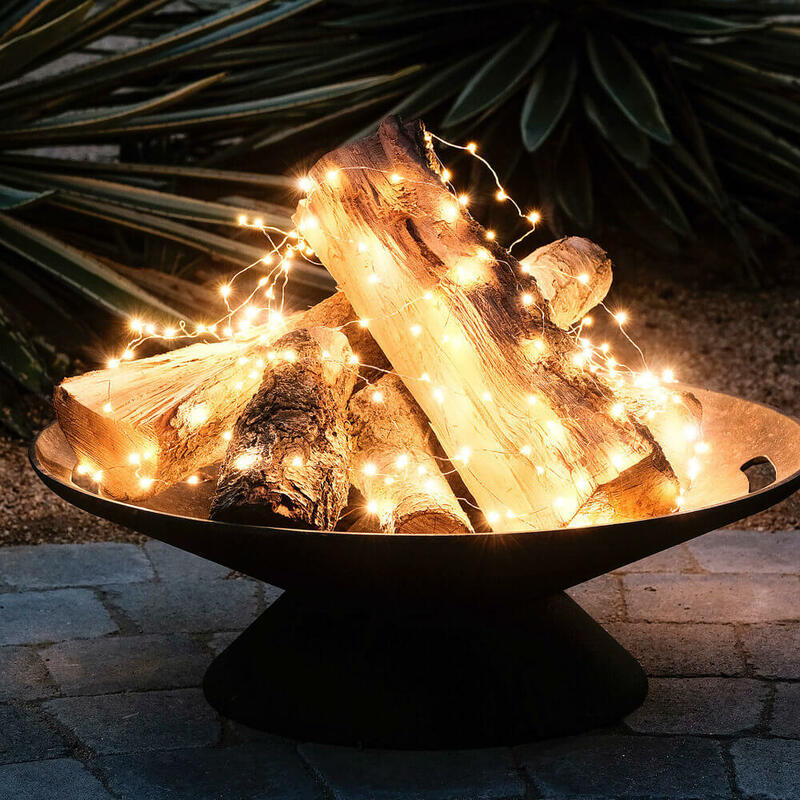 An easy way to make your yard more inviting is to add lighting so that you can eat, relax, and reconnect with family and friends long after the sun goes down. 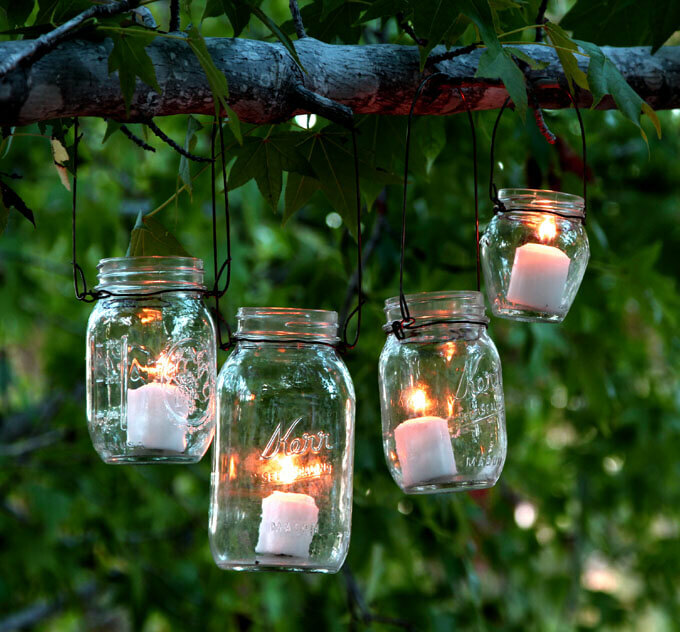 Backyard lighting ideas run the gamut from simple candle holders or battery operated fairy lights to high-powered spot lighting which can add a touch of grandeur to an elegant garden. The style of lighting you pick will largely depend on the size of your outdoor space and whether or not you’ll have access to power. Smaller yards or intimate seating areas located well away from power outlets can make use of simple solutions such as solar lights or small home made torches which do not require electricity. 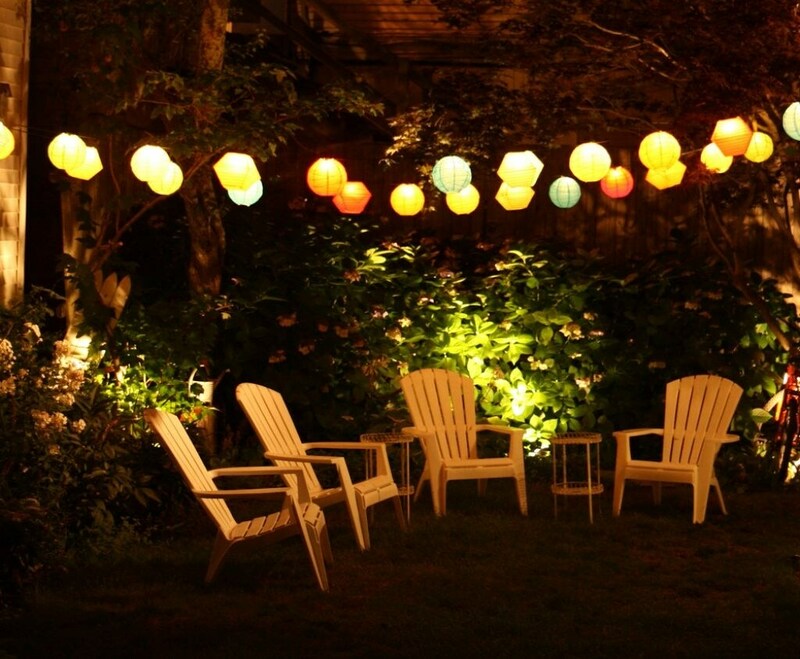 Outdoor living areas that are adjacent to your house such as porches, patios, and pergolas can incorporate more powerful lighting options like electric powered string lights and lanterns. 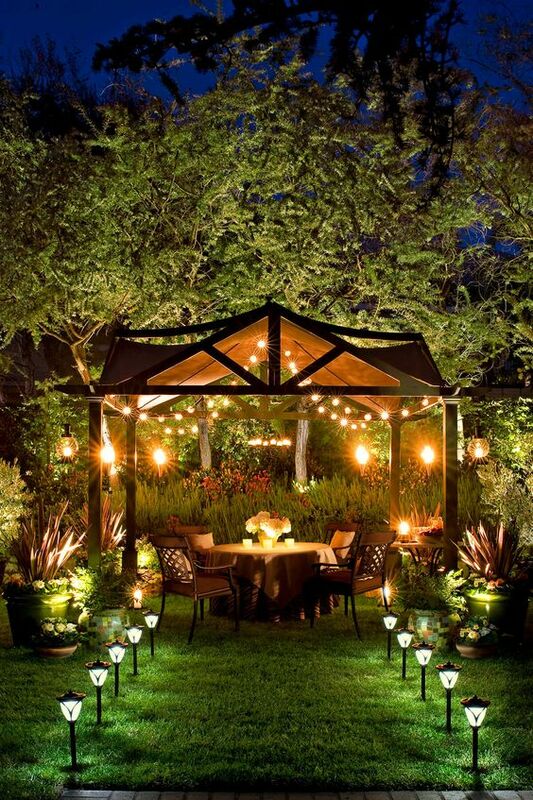 No matter what size outdoor space you have, the strategic addition of lighting can turn your backyard into a cozy outdoor sanctuary with minimal effort and cost. The ideas below will provide examples of simple DIY options which can allow you to enjoy your backyard more fully this summer.